Focuses on practical insights, relating to personal growth, from the weekly Torah readings. 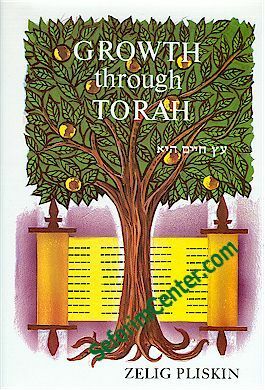 Ideas and reflections of great Torah scholars are cited regarding such topics as self-image, emotions, interpersonal relationships, attitudes conducive to happiness and joy, and character traits. Stories from the lives of Torah giants illustrate how to integrate these concepts. Rabbi Zelig Pliskin, Director of Aish Hatorah Counseling Center, is an American who makes Jerusalem his home and is the author of many books that have improved countless lives.